This is one of my favorite photographs. It is easy to get a shot of fireworks, but difficult to get a shot with something dark in the foreground, and without smoke from the previous bursts dulling down the shot. This was a result of many furious experiments with camera controls, in the dark. 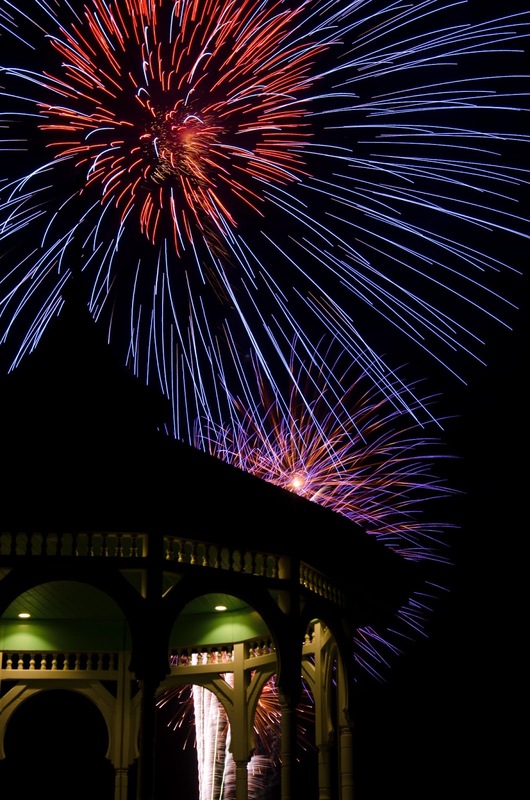 The August fireworks in Ocean Park, Oak Bluffs, on Martha's Vineyard, are the best I've every seen. The 2013 fireworks are scheduled for August 16.